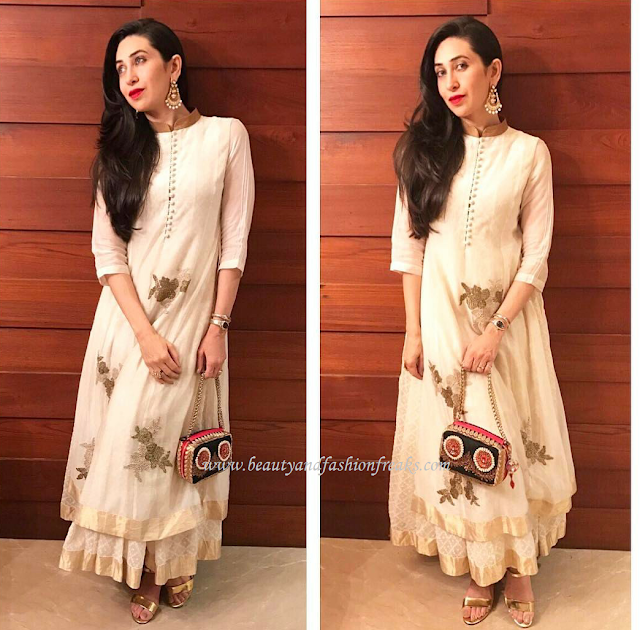 Karisma Kapoor went desi for a recent event by wearing an anarkali by Myoho. With side swept open hair, red lips and golden Louboutins heels, Karisma looked good in this Indian Avatar. What’s your take? Does she look pretty? Yay or Nay? Her jewelry was by Jet Gems.